Repost photos. Repost videos. Clean and simple. The best repost app on the market. No more screenshoting! Repost now as easy as you could never done before! 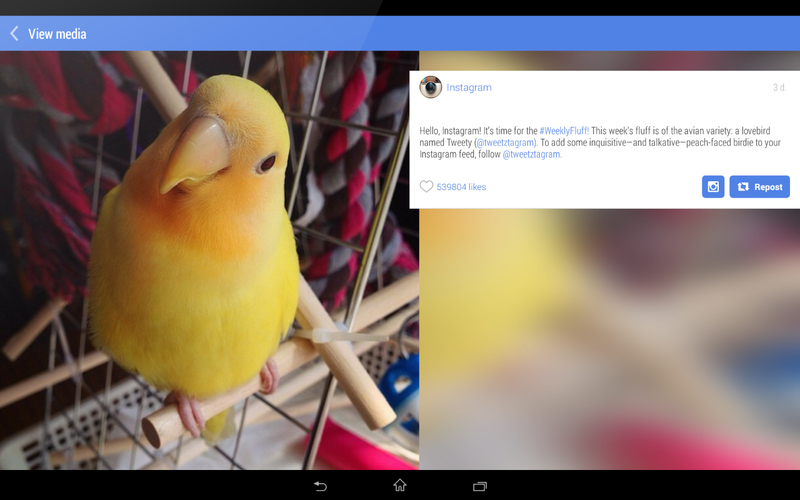 With InstaRepost you can repost photos so cool you'll never do with any other app. Become a photorepost monster! We provide you with the latest high-end industry technology to work with videos, so you can repost videos you’ve found to your followers. 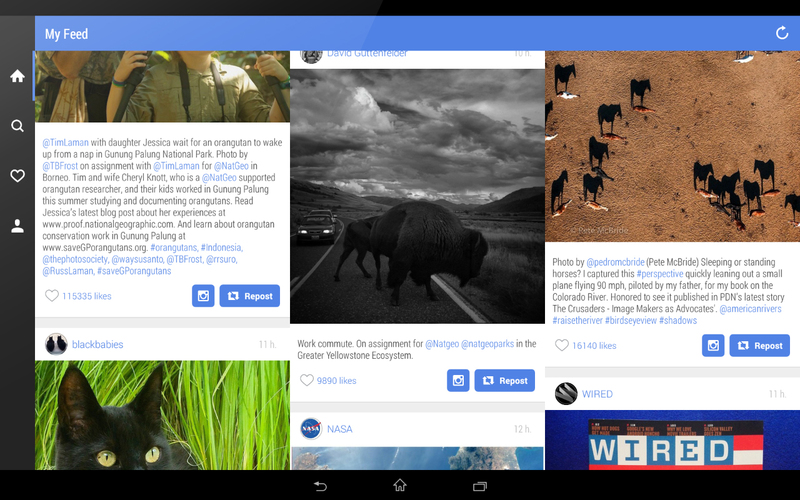 "Finally, a working regram app for android that is nice to look at!" You can find amazing photos, videos or people of any kind - crazy, smart, hot, - searching by peoples' names or by hashtags. Repost with InstaRepost is amazingly easy and looks great. Our design is flat and eye-candy, you'll never be ashamed for it. We know that your time is money, and we wont make you spend it in vain. We are working days and nights to grant you the best experience we can. First tablet view of Instagram! 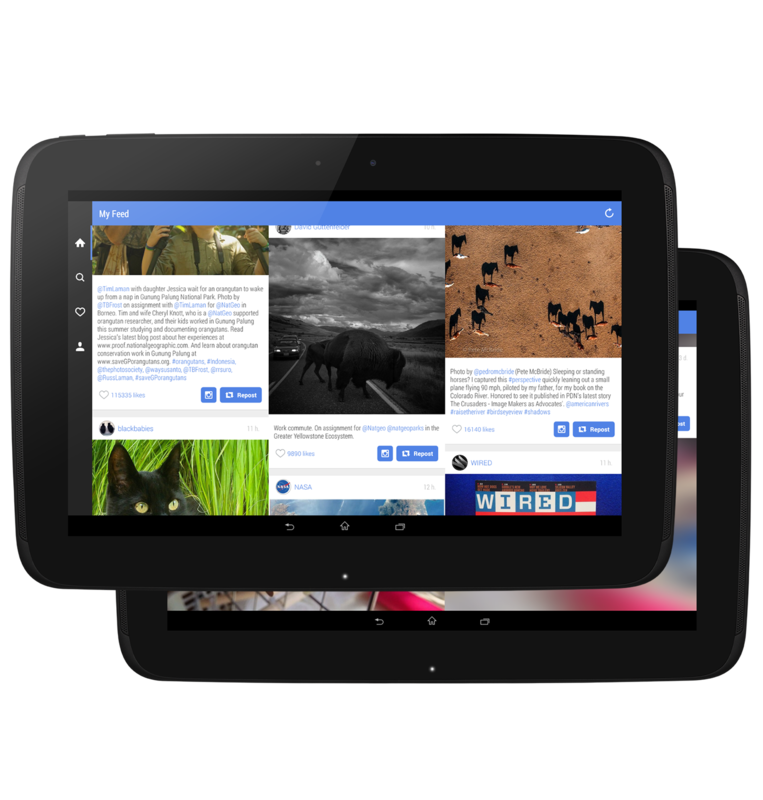 Use your tablet with more comfort browsing Instagram with our tablet version. Now you can view not only one photo on your screen. Even multiple videos can be played. Not only look through your Instagram, but read it. 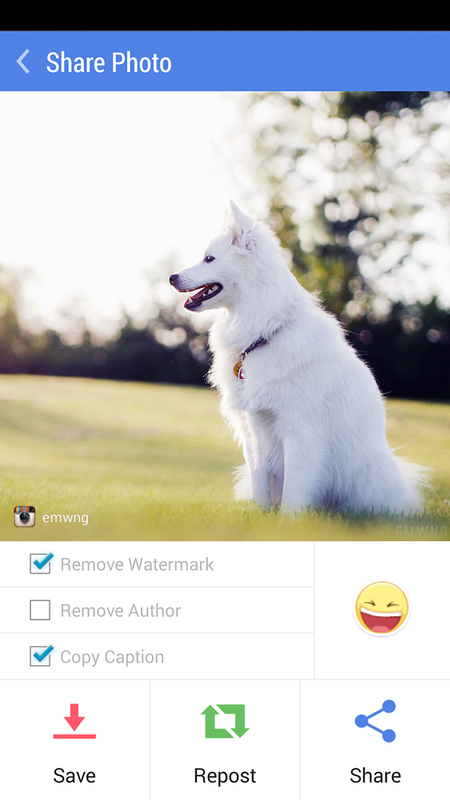 More pleasure and still an ability to repost whatever you want with InstaRepost. 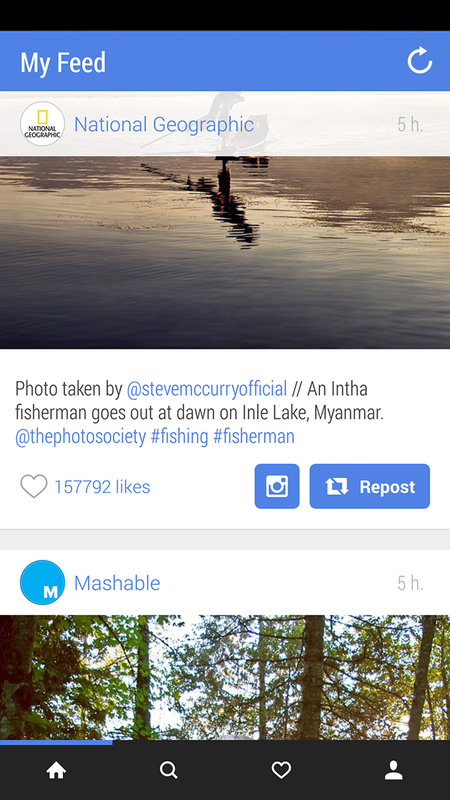 Finally, a working regram app for android that is nice to look at! 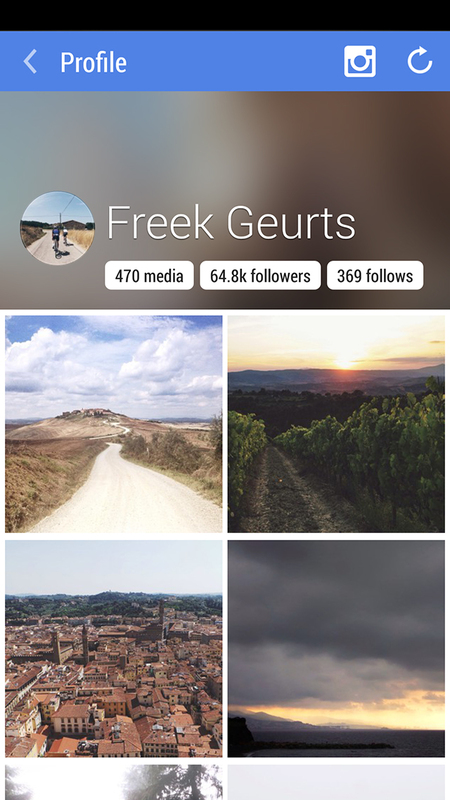 Every Instagramer who wants to be popular on Instagram have to install it! I love the app. It is easy to use and efficient! 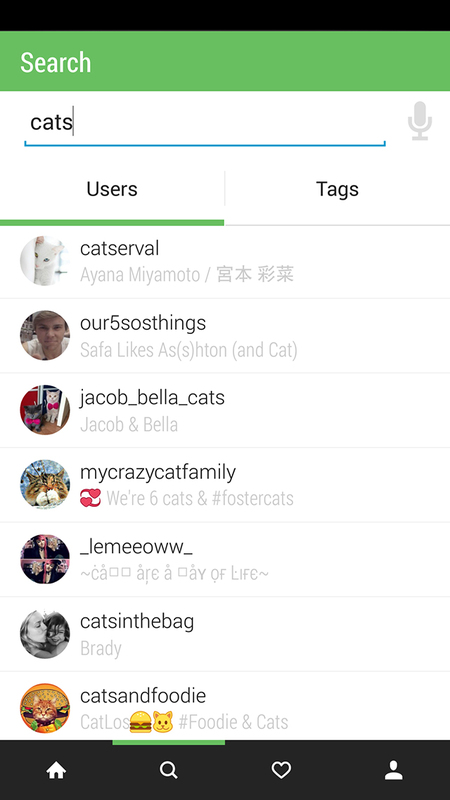 Download InstaRepost now. 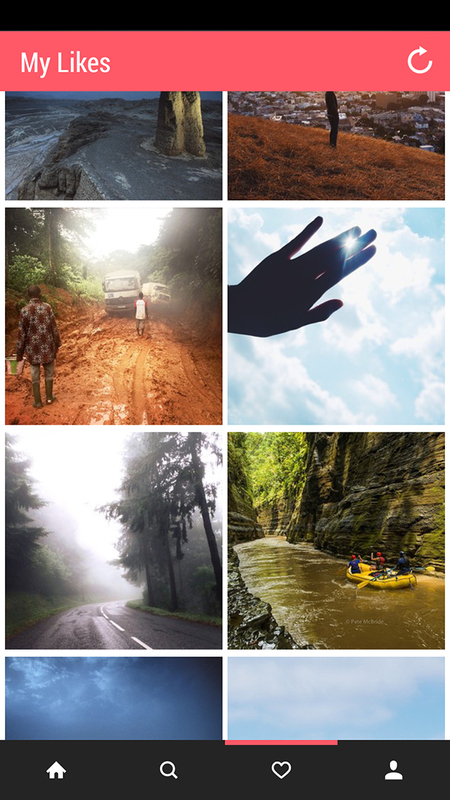 Join millions of people worldwide in their Instagram passion. We offer the best experience, the best design and the best features. 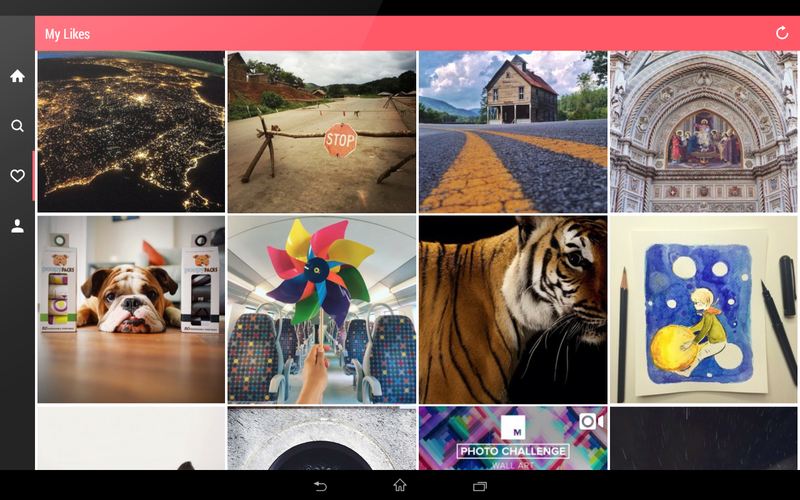 InstaRepost is simply the best and the only Instagram repost app you need. Anyone can use it easily, no matter who you are - a taxi driver, a stylist, having a big blog in Instagram, or just sharing photos and videos with your friends. We have accounts in Twitter, Instagram, Google+ and Facebook. Follow to get the latest news and updates!